Memorial posters: A wide variety of posters can be printed to suit your needs, including standard and wide formats. 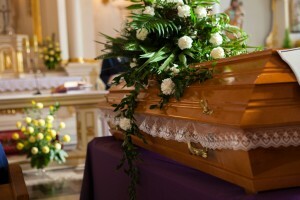 While looking for different products for you loved one’s funeral, also consider which company you will work with. Consider a business like Time Printers that constantly puts forth the effort to makes this as stress free as possible for you in this difficult time. While some people might be very good planners, and write down their ideal funeral proceedings, others may not. Some may simply tell their friends and family what they would like. Either way, it is always important to honor the deceased’s wishes to the best of your ability. Every printed item you may need for the funeral proceedings is customizable, and lets you pick the design that would have most pleased your loved one. Time Printers is a full-service printing products and services business located in Baltimore, Maryland. Our graphics team of experienced professionals can help you bring your vision to life in a timely and affordable manner. To learn more about designing attractive funeral printing or materials, please give Time Printers a call at 410.566.3005. At Time Printers, we believe it is our job to make you look good! Quality products can help your business make a lasting impression on your customers and clients. This entry was posted on Wednesday, May 4th, 2016 at 1:13 pm	and is filed under Funeral Printing. You can follow any responses to this entry through the RSS 2.0 feed. Both comments and pings are currently closed.